Story2Oh! is an experiment in internet storytelling. The characters spend lots of time on the web and their stories unfold through their Facebook activity, their video podcasts, their blogs and the rest of their social networking. To follow the story, just click some links and start to read. See what’s happening on characters’ Facebook walls, read their blogs, check out their del.icio.us bookmarks. But don’t stop there. Friend them, write to them, comment on their posts or pictures. They may write back. 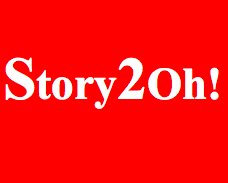 Jill Golick created and produced Story2Oh! with the help of many people including several very experienced television writers. Check out the team here and Jill’s bio here. But first, go find out what the characters are up to.